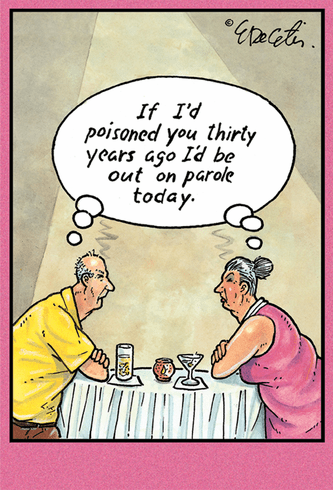 Outside: If I'd poisoned you thirty years ago, I'd be out on parole today. Inside: Ain't love grand? Happy Anniversary.